The Heraeus Photovoltaics Business Unit will be attending 6th International PV EXPO 2013, held at Tokyo Big Sight, Japan, from February 27th - March 1st, 2013. Heraeus will highlight its new SOL9610 Series, front-side paste for higher efficiency and finer line printing. Heraeus will showcase their SOL9610 Series, its newest, high efficiency front-side metallization paste. This new series of pastes helps improve contact quality and enables finer line printing. Customers have demonstrated significant improvement in cell efficiency and further reductions in paste consumption providing cells with a lower Cost-per-Wp, a key customer requirement. 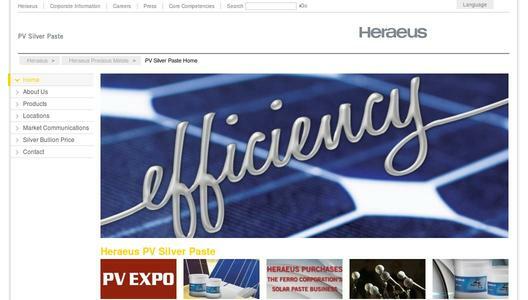 PV EXPO 2013 will be the first exhibition for the Heraeus Photovoltaics Business Unit after Heraeus Precious Metals purchased the Ferro Corporation's solar paste business on February 6, 2013. 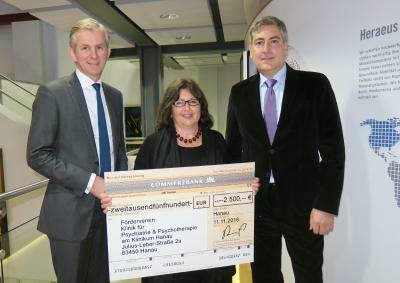 Customers will have the opportunity to meet the combined organization at booth number E46-7 in Hall 6. To learn more about Heraeus' products and services for the photovoltaic industry, visit us at this year's 6th International PV EXPO 2013, February 27th - March 1st, 2013, at Tokyo Big Sight, Hall 6; booth number E46-7. For further information, you can also go to www.pvsilverpaste.com. 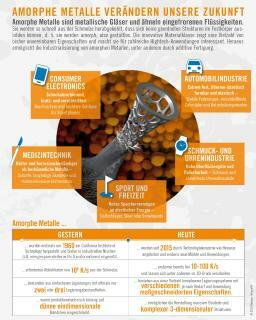 Heraeus, the precious metals and technology group headquartered in Hanau, Germany, is a global, private company with more than 160 years of tradition. Our fields of competence include precious metals, materials, and technologies, sensors, biomaterials, and medical products, as well as dental products, quartz glass, and specialty light sources. With product revenues of €4.8 billion and precious metal trading revenues of €21.3 billion, as well as more than 13,300 employees in over 120 subsidiaries worldwide, Heraeus holds a leading position in its global markets.